I've driven by this little shopping center many-a-times so I'm glad I finally got to stop by. I loved the lines of tiendas stocked to the brim with curios. It's like a little slice of Mexico plopped in the middle of LA. I suddenly was trying to justify needing a poncho and like, 5 new keychains - I'm an impulsive shopper. And I know what you're thinking...giiiirl that dress is short! Never fear, I'm wearing shorts underneath. No peep shows happening over here! 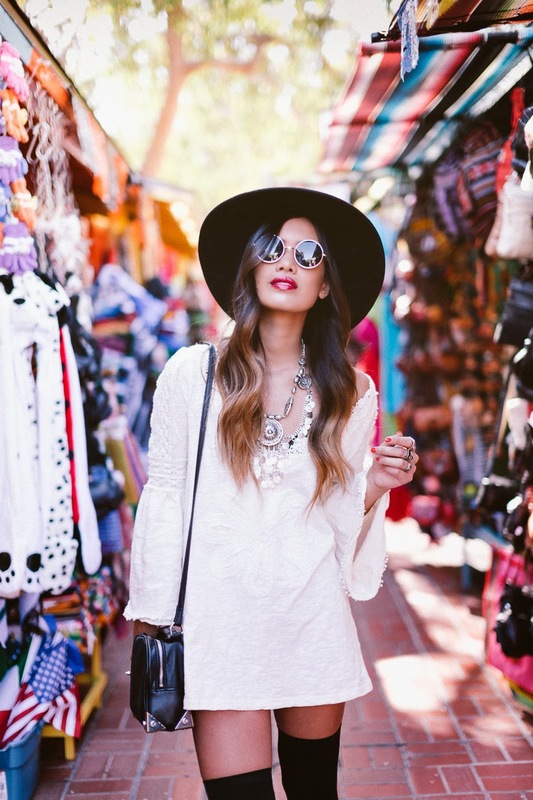 What a nice boho look! & this location is so cool to shoot outfit photos!! 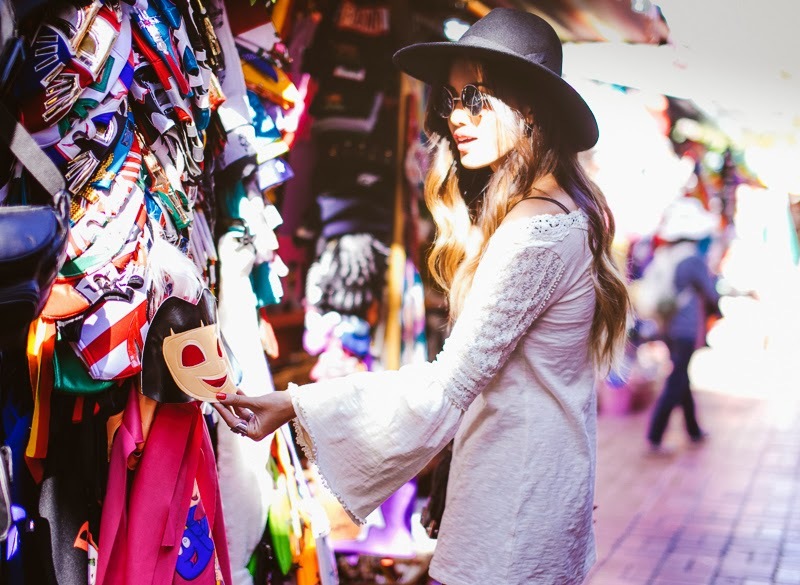 Really love your whole boho chic style! That dress is amazing! so so so gorgeous! what lens do you use? these photos are looking so pretty! <3 you look lovely as always! what cam & lens were these shot with x? Stunning photos! You have the most gorgeous hair! Beautiful dress! love the shades and the hat too! so gorgeous! what kind of camera is used to take your photos?! Wauw those pictures are amazing!! cute outfit, especially that necklace!